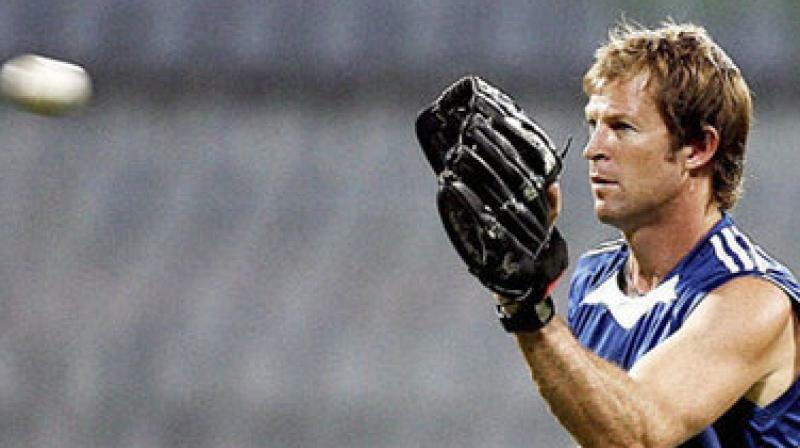 Mumbai, Dec 7: Three-time Indian Premier League (IPL) champions Mumbai Indians on Thursday roped in New Zealand's James Pamment as fielding coach replacing South African legend Jonty Rhodes. According to a statement from the franchise, Rhodes wanted to spend more time on his personal business ventures after being with the Rohit Sharma-led side for nine seasons. Attributing Rhodes' work ethics as a key in Mumbai Indians' successful journey, team owner Akash Ambani termed the South African's contribution as "invaluable and unmeasurable in words". "Rhodes has been a pillar of strength and energy in Mumbai Indians. His contribution cannot be valued in words. We respect his decision and wish him the best for the future. He will always be a part of Mumbai Indians family for life. "We are happy to introduce James Pamment to the MI Paltan (MI Fan Army). He is an experienced coach at the international level having worked with New Zealand Cricket as fielding specialist and development. "What impressed us was the way Pamment had coached Northern Districts in Champions League T20 in 2014, and to be honest, his sides' fielding unit was one of the best Mumbai Indians had ever faced," Ambani added. Commenting on his new assignment, Pamment said: "It will be a great challenge and at the same time a privilege to fulfil the duties of a role that was held by someone like Rhodes. "He (Rhodes) has instilled a brilliant work culture among the players, on and off the field, and the results are out there for everyone to see. Mumbai Indians' is a champion outfit and I am grateful to the team's ownership on giving me this opportunity," he added.